The Hawai’i Chamber of Commerce of Northern California (HCCNC) proudly presented our 14th Annual Five Star Aloha Gala on Tuesday, May 31, 2016 at the historic Westin St. Francis Hotel in San Francisco. This is our organization’s signature event and serves as a venue for honoring individuals and organizations with our Kūlia I Ka Nu’u Award for their contributions in promoting the Aloha Spirit throughout Northern California and beyond. This year, we are very pleased to pay tribute to University of Hawaii Women’s Volleyball Head Coach Dave Shoji, spreading aloha through coaching and community service in Hawaii and beyond. Proceeds from the event will benefit the Kūlia I Ka Nu’u Scholarship Program. 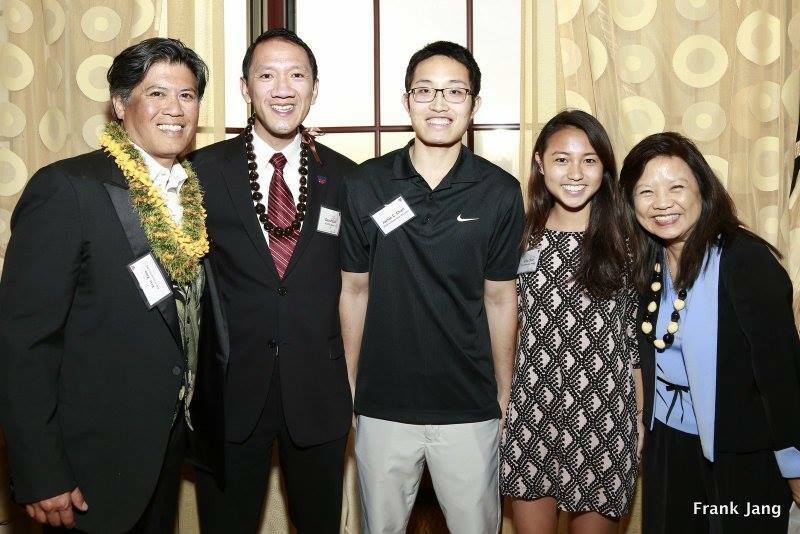 Each year, the HCCNC Foundation grants scholarships to deserving students from Hawai’i pursuing their college education in Northern California. It is our way to help develop the 50th State’s future leaders and to further strengthen the bridges between Hawai’i and Northern California. Cocktails, complimentary beer, artisan wine and sake from local makers, and a taste of the finest restaurants in San Francisco. Silent auction and raffle. Presentation of 2016 Kūlia I Ka Nu’u Scholarship Award winners. Event emcee is Rick Quan, well known Hawaii and Bay Area sportscaster and long time HCCNC supporter. Live Hawaiian music by Steven Espaniola and JD Puli.